It is Inochi-no-Ichi rice that is grown in a specific region. Inochi-no-Ichi is a strain of rice that was discovered by chance among Koshihikari rice in Gero, Gifu Prefecture in September 2000. The discoverer of the Inochi-noIchi strain formed a sales team to market the rice under the name Ryu-no-Hitomi. They have since been expanding the production area as a result of the rice’s increasing popularity. Noting Inochi-no-Inchi’s large grain size (1.5 times the size of the Koshihikari) and unique taste, a group of farmers who are passionate about the local region and the quality of their products established a limited liability company called Manmaruya LLC to specialize in the production of the rice. 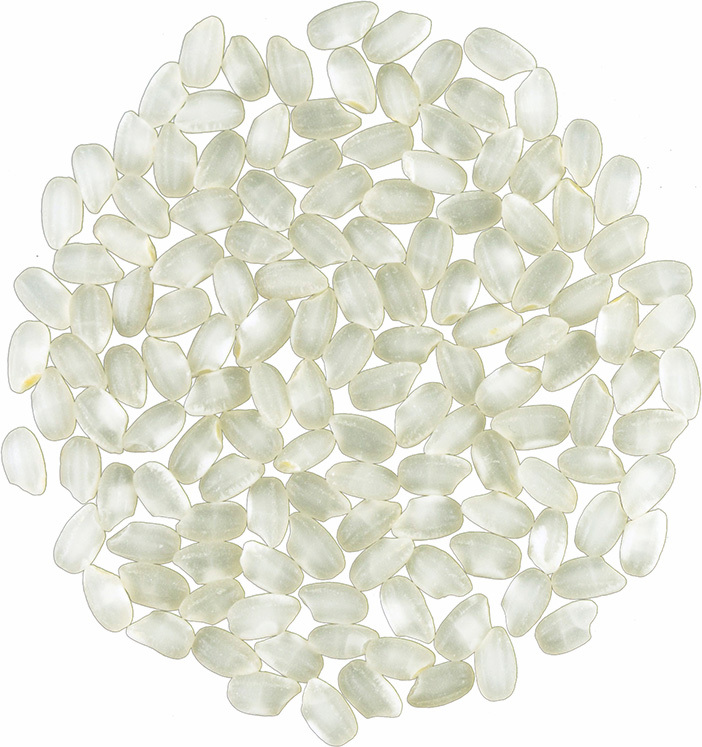 The rice is best known for its delightfully large grain size and superb texture. Above all, the rice’s feature is its grain size> (Photographs: left is Gin-no-Mikazuki while right is Koshihikari.) Gin-no-Mikazuke’s grain size is 1.5 times the grain size of Koshihikari, which serves as today’s standard for good Japanese rice. You already notice that something is different about this rice when you pour the rice from the measuring cup into your cooking pot and the grains make louder-than-usual clinking sounds as they hit the surface of the pot. They may only be sounds of grains, but they’re enough to make you start wondering how great this rice is going to be. The feel of the grains on your palms and fingers as you wash them is also quite special. Open the lid of the pot once the rice is cooked. The rice has been recognized as Japan’s No. 1 on numerous occasions. Inochi-no-Ichi, which is the general name for Gin-no-Mikazuki, was awarded the title of Japan’s No. 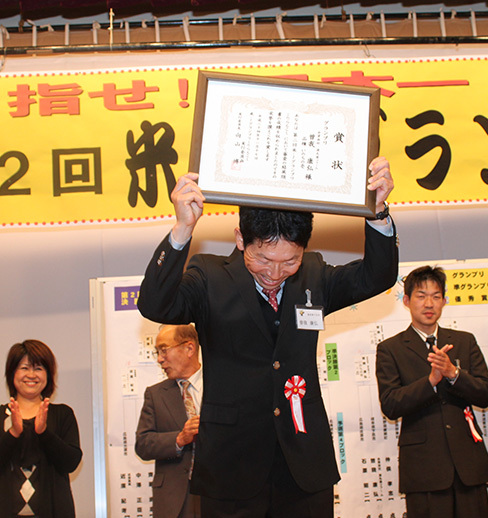 1 rice in a nationwide contest (called “You Choose Japan’s Most Delicious Rice”) three years in a row and has received prizes in many other competitions.